Home » personalized learning. » Wednesday web tool » Wednesday Web Tool: Introducing Symbaloo Academy! Wednesday Web Tool: Introducing Symbaloo Academy! This week we are sharing a new tool from Symbaloo, called Symbaloo Academy, that allows you to create interactive game board style lessons. The lessons are based on learning paths that lead to objective area mastery based on the student's unique needs. It is easy to personalize learning for your entire class! 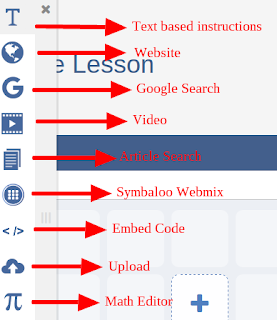 Click on "start creating lesson plans" and create an account if you do not already have a Symbaloo account. 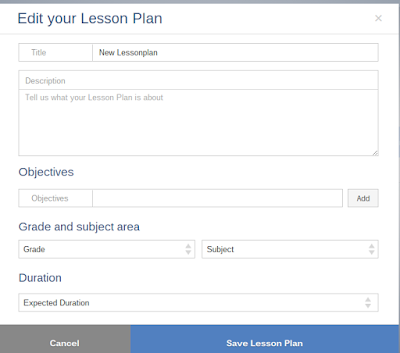 From the main screen, you can join a lesson with a code, view the gallery of pre-made lessons, or create your own. The gallery features lessons in all grade levels and subject areas. I love the fact that you can see ratings and lesson length for every lesson in the gallery. Click on any lesson in the gallery to explore the lesson. Teachers can rate and comment on every lesson in the gallery. Click on the add to my account button to save the lesson for future use. You will then be taken to the sequence builder. For those of you familiar with Symbaloo, this looks like an empty board but it is the framework for your lesson activities. Click on the + on any square to add your first activity. You have a variety of activity types to add to your lesson. 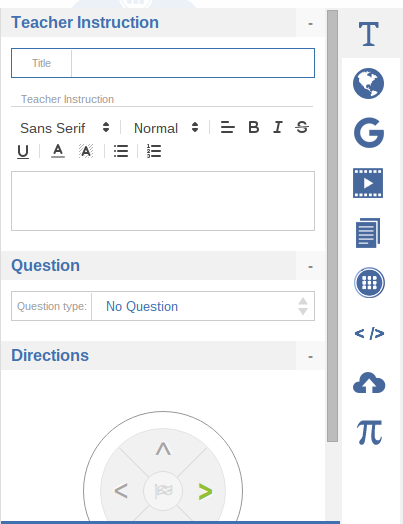 A unique feature is the directions pad at the bottom of each activity, you will choose which direction(s) students will move to after completing the activity. Once you design your activity, you can add questions for the students to respond to. Then you can customize the student's path in the lesson based on their response to the question. For example, students view a short video on figurative language. Then they respond to a question about similes, if they answer it correctly, they move on to metaphors, if they miss the question, they move to a reteaching activity on similes. 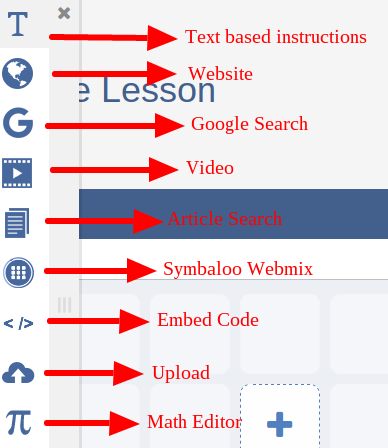 Students access your lessons by going to Symbaloo Academy and entering the lesson code. 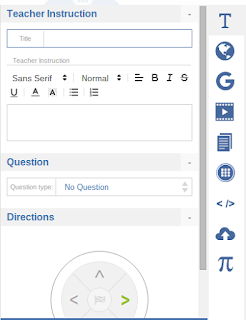 Symbaloo Academy allows you to create a personalized learning path for each student. I love how easy it is to build in questions. Students are constantly assessed and engaged in a learning experience that adapts to them! I hope you explore the new Symbaloo Academy. 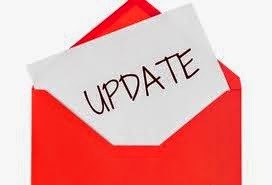 If you have any questions, please feel free to reach out to a member of the Digital Learning Team and we will be happy to help you!